Skoda says that splitting the Kamiq's headlights and putting the daytime running lights on top is part of a design that makes the car look rugged and dynamic. 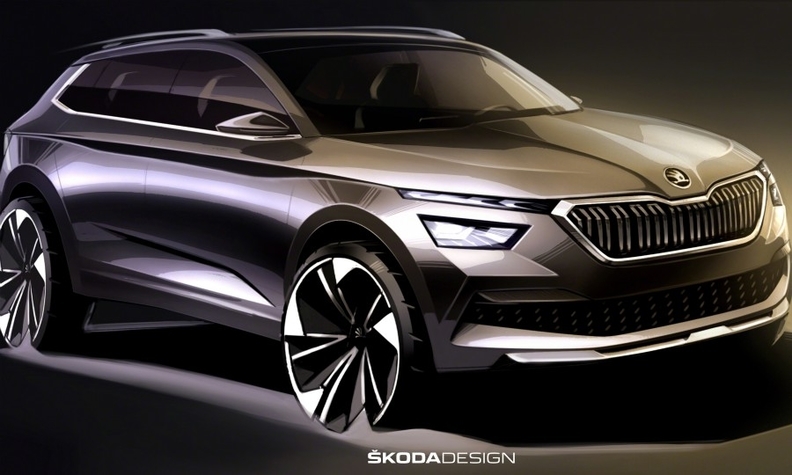 Skoda will differentiate its Kamiq small SUV with a two-part headlight design in a bid to make the car stand out in an increasingly crowded segment. The brand released sketches of the SUV on Thursday ahead of its debut at the Geneva auto show on March 5. It will go on sale in Europe later this year. The Kamiq will bring the number of SUVs Skoda sells in Europe to three. Skoda says that splitting the headlights and putting the daytime running lights on top is a first for the company. The LED running lights incorporate dynamic indicators which flash in the direction of intended travel, another first for the brand. Skoda said its design for the car makes it looks rugged and dynamic. The Kamiq combines the advantage of a raised SUV with the agility of a car, Skoda said. It will offer new safety assistance systems and a spacious interior, the brand said. Skoda expects the Kamiq to become its second best-selling SUV after the Karoq compact. The new SUV will be built on parent Volkswagen Group's MQB platform and compete against the Seat Arona and VW T-Roc in the group and SUVs such as the Hyundai Kona and Kia Stonic. A China-only small SUV, also called Kamiq, is already in production based on the cheaper PQ platform. Skoda's relatively young SUV lineup helped the brand to boost its vehicle sales by 4.4 percent to a record 1.25 million last year. The Kodiaq midsize SUV, the Karoq and the Chinese version of the Kamiq were the only Skoda models showing growth over the year, along with the Citigo minicar. The Kamiq was previewed by the Vision X concept at last year's Geneva show.